Creating and sticking to a budget is essential if you want to get out of debt and achieve financial security, but it’s easier said than done. The proper amount of money to spend on various expenses can be difficult to calculate, and summoning the willpower required to stay true to those set amounts can prove even harder. Fortunately, there are many apps designed to keep you honest—and in the black. Here are some of the best apps available for managing your finances. The most popular app for managing your money is Mint, a free app from Intuit, the company behind TurboTax and QuickBooks. Mint allows users to connect all of their bank and credit card accounts, as well as their monthly bill statements, into one convenient, all-in-one application for managing spending. Bill payment reminders, specific advice based on your unique spending habits and free credit scores are among the other services that Mint has to offer. You Need a Budget, or YNAB for short, doesn’t just document your spending—it seeks to actively improve your purchasing habits and behaviors. For $5 a month or $50 per year, this app is best for those struggling to escape from the burden of debt. In addition to designing a budget that will help you achieve solvency, YNAB also provides helpful advice and community support in the form of an online forum made up of others suffering from the constraints of living paycheck to paycheck. Many consumers get into the bad habit of checking their bank account, seeing a healthy balance and then spending with carefree abandon. But there’s a difference between how much you can spend and how much you should spend, and Level Money is designed to illustrate that divide. This free app factors in essential monthly costs like rent, utilities and grocery bills to show the “spendable” amount of money in your bank account. You can also program it to take into account your saving goals, which helps you better prepare for the future. When managing your expenses, it can be hard to remember to save money; fortunately, Digit does it for you. This free app makes an analysis of your spending and income and then automatically takes small amounts from your checking account, often anywhere from $5 to $50, and banks them in an account managed by the company. The app is fee-free and comes with a no-overdraft guarantee, so there is little risk involved. No interest is earned on your savings, since Digit is not a bank, but there is a “Savings Bonus” of five cents for every $100 saved over a three-month period. 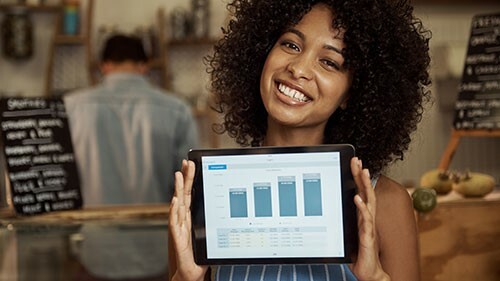 Whether you are racked by debt and searching for a way out or simply looking for a convenient way to keep track of expenses and improve your saving habits, there are many free and affordable apps that can have a positive impact on your finances.